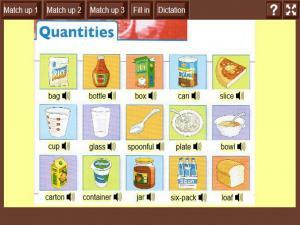 Review the Word Set and learn the correct vocabulary for Quantities in the kitchen! 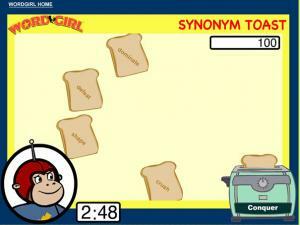 There are 5 activities to test your writing, reading, listening and vocabulary skills. 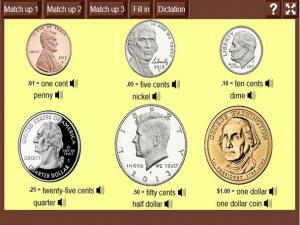 Learn the vocabulary for the coins used in the USA. Test your spelling, listening and writing skills against the clock after you have reviewed all the vocabulary in the Word Set. 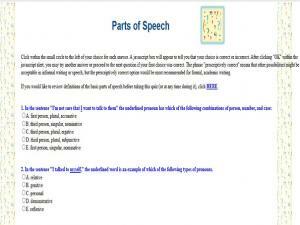 Take this quiz to test your basic understanding of parts of speech. 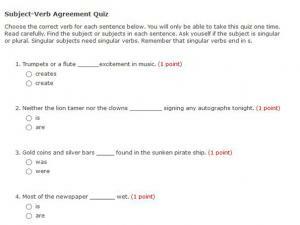 Read each sentence and choose the correct answer to identify the word that is underlined. Have you got clothes that don't fit anymore? 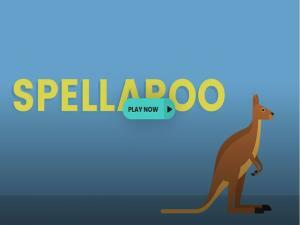 Check out this Word Set to learn the different problems you can have and practice your reading, writing and listening skills. 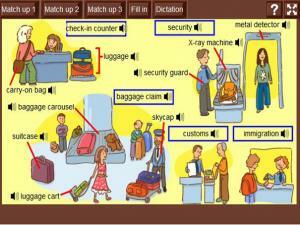 A great resource to learn a lot of vocabulary you will need when you go to the airport! Review the Word Set and then complete the different exercises to make sure you know how to speak, write and spell all the words correctly. 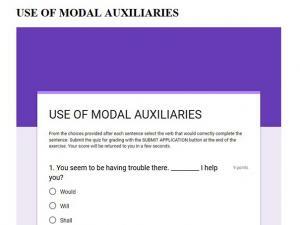 This is Part Two of a multiple choice grammar quiz where you have to choose the correct answer out of 4 possible options. 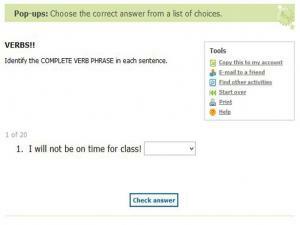 Submit your answer and check whether it is correct after each sentence. 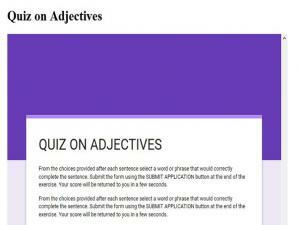 This is a multiple choice grammar quiz where you have to read a sentence and then select the correct option out of the 4 answers given to match the part of the sentence that you are asked to identify. 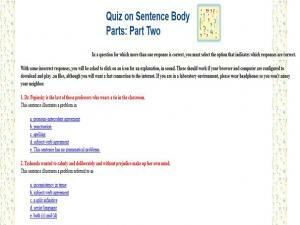 Read the sentences carefully and then choose the correct verb for each one. 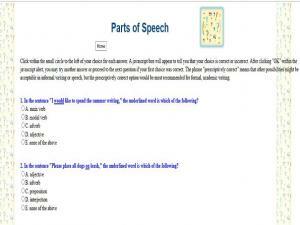 Can you identify the subject or subjects in each sentence? 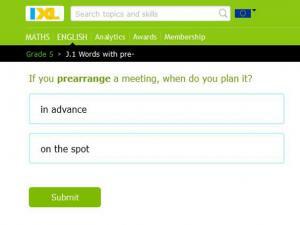 Is the subject singular or plural? 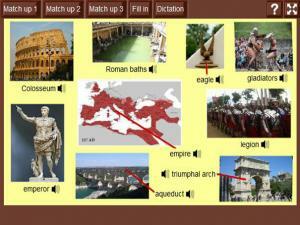 There is a full score sheet and explanation for any answers you get wrong given at the end. 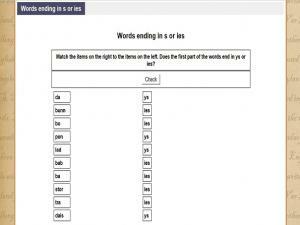 How well do you know the correct spelling for plural nouns ending in 'y'? 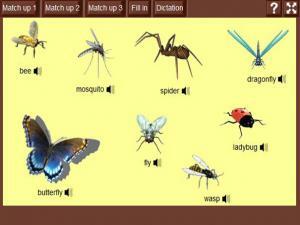 Use this resource to match the items on the right to the items on the left. Does the first part of the words end in 'ys' or 'ies'? 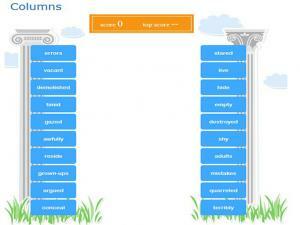 Do you know when to use 'some', 'any', 'an' or 'a'? 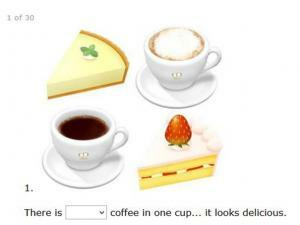 Choose the correct answer from a list of choices for each picture.